The ultimate guide to Lofer ski holidays in 2019 & 2020. Nearly 70% of Lofer’s slopes are suited to beginners - and with a friendly market town to call home this is a cracking resort for first ski trips or holidays with the children. 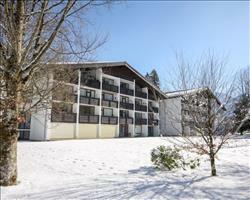 Within an hour and a half’s drive from Munich, Lofer’s known mainly as a terrific ski resort for families. You’ll find it in the Salzburger Saalachtal region, lying in the foothills of the Loferer and Reither Steinberge mountains. The ski resort was launched in the sixties, but the town was around long before then. It joined the Prince-Archbishopric of Salzburg in 1228 and became a market town in 1473 - the positioning on the route to Tyrol making it an important stopping point. Much of the place doesn’t seem to have changed for centuries, from the onion-domed church to the old Tyrolean houses with their intricate balconies. Salzburg is the nearest airport (31km away) and the closest train station is Bahnhof Bad Reichenhall (17 km). Last time we checked, the 260 bus connected both with Salzburger Saalachtal. The ski resort, sometimes called Almenwelt Lofer or Lofer Alm, has 46km of pistes, with the majority suited to beginners. View our detailed Lofer snow forecast or snow report and see all live webcams, piste maps, road and travel maps and lift pass prices. For a picture of historic snow conditions see the snow depths month by month with our Lofer snow history. Thanks to the 140 metre magic carpet for kids and beginners, this is a brilliant place to learn the basics. Both the Loferer Alm and the Almbahn II stations have learning areas, right next door to restaurants for handy post lesson drinks and snacks. There are some lovely blues to progress onto, including a handful of long runs from Schonbuhel and more served by the Family Express lift. Intermediates can ski from the top station, Grubhorndol at 1747m, all the way down into Lofer on a mix of reds and blues. There aren’t many runs for experts, but those you will find serve up a more than decent challenge. The Hochwena ski route from Grubhorndol is a fantastic powder run through the trees, while pisted blacks include the Postalm Standard and parts of the Schonbuhel Clubhang from the Family Express. The L.A. Snowpark has beginner and medium lines, a couple of mogul pistes and jumps of all shapes and sizes. BoBo’s – conveniently the ski school meeting point – is the place to gather for Glühwein or Jagatee on the terrace. Parents will love the children’s playroom and weekly kids disco which keep the sprogs occupied while you put your feet up. In the evening, live music and DJ’s keep night owl’s occupied. Look out for the Carven, ziachn & zither festival (usually held in March) which brings three days of live music to the slopes. The Körberl is a cracking restaurant that has its own bakery – and also serves homemade schnapps... Knappenstadl is a favourite for its incredible views and faraway feel. 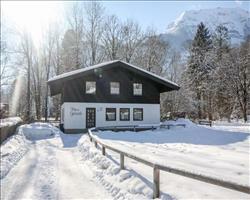 When is the best time to ski Lofer? Recent investment has made the likelihood of good conditions even stronger, with more than 70 snow cannons guarding 75% of the ski area. Being such a big hit with families, the school holiday weeks tend to be the busiest but with the lifts carrying 17,730 people an hour, queues are rarely a problem. The Salzburger Saalachtal region has lots on during the festive season – join the pilgrimage to Maria Kirchental, buy Gluhwein at the Marktplatz and listen to local bands over Christmas in Lofer. 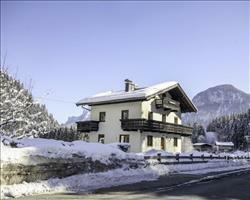 Spend a wonderful New Year in Lofer with the family, making the most of the gentle pistes and friendly atmosphere. Families can’t go wrong spending Half Term in Lofer, where from the pistes to the restaurants, nearly everything’s suited to skiing with kids. Lofer pushes the boat out for families, with restaurants having their own play areas, a 140m magic carpet dedicated to helping beginners and child-friendly lifts like the Family Express. If you’re a group of beginners wanting to learn, the gentle ski area here is just what the doctor ordered. Sign up for group classes with Skischule Sturm or get a private instructor to teach you together.